Back at the 2015 Tokyo Motor Show, Mazda teased us with the faint promise of a modern-day RX-7, pulling the covers off the RX Vision Concept to widespread acclaim. 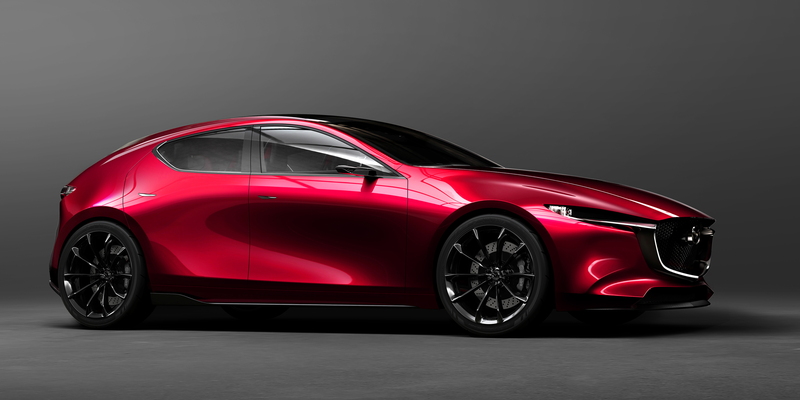 Now, two years later, the Japanese manufacturer is at it again, unveiling the rather stunning Mazda Vision Coupe. Unfortunately, we don’t appear to be any closer to getting a new rotary-engined sports car – the Vision Coupe is still firmly a concept – however, in an age of increasing autonomy, it’s heartening to find that Mazda may still, one day, give us the RX-7 successor we’ve all be waiting for. If it looks anything like the Vision Coupe, we’re in for a treat too. The four-door GT coupe is meant to preview the next generation of Mazda’s ‘Kodo’ design language, which showcases a less-is-more approach. While some modern styling is (often rightly) criticised for being too fussy, Mazda has taken a much more minimalist approach with the Vision Coupe; there are fewer swage lines, creating a more organic, flowing profile. 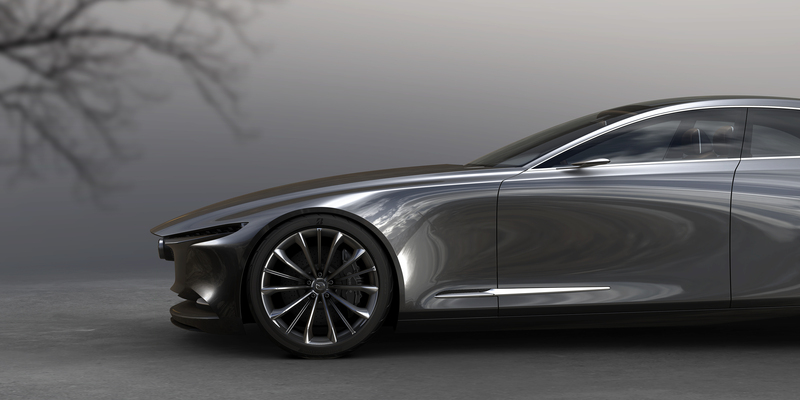 There’s more than a touch of Aston Martin Lagonda Taraf about it too (which is no bad thing). Unfortunately, there’s no tech detail from Mazda. In reality, it’s unlikely to get a reincarnated rotary motor, with Mazda also debuting its new Kai Concept at the 2017 Tokyo Motor Show. A taste of things to come in Mazda’s hatchback range, the Kai is fitted with the ground-breaking Skyactiv-X petrol engine, which combines both diesel-style compression ignition and standard spark-controlled ignition. It’s pretty neat. Built to allow some element of hybridisation, the Skyactiv-X motor is the most likely candidate to be dropped into a production version of the Vision Coupe, providing plenty of performance (but no screaming rotary sound track). 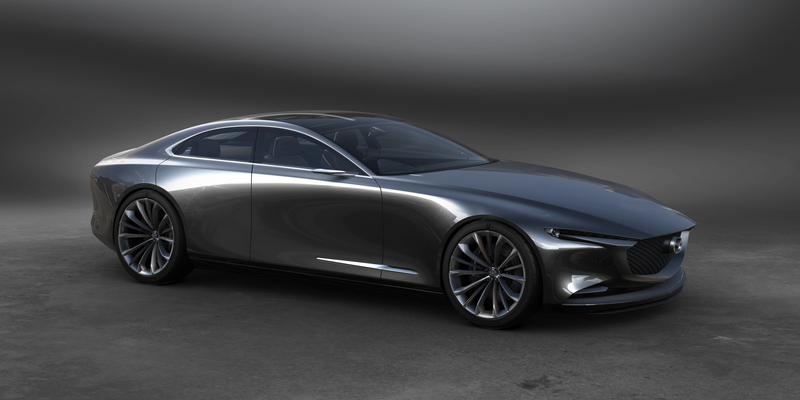 However it’s powered though, we just hope that Mazda finally puts its four-door Coupe into production before the next Tokyo Motor Show rolls around in 2019.